Civil society organizations are moving to the forefront as vital intermediaries in Syria’s northeast. Human Rights Watch’s Sara Kayyali discusses whether Syrian officials will ever face trial for their actions in Syria’s conflict. Amnesty International’s Diana Semaan discusses human rights reporting in Syria and its shortcomings. On the World Day of Migrants and Refugees, How Would You Describe Their Situation At Present? In an exchange, Yezid Sayigh and Michel Duclos discuss the conditions of economic assistance to a postwar Syria. 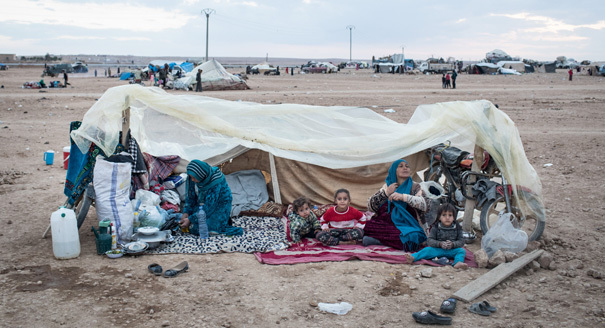 Why Local Agreements Are Not the Solution for Ensuring Syrian Refugee Repatriation. How can the kingdom’s troubled economy benefit more from Syrian migrant workers? As a new UN humanitarian coordinator arrives in Damascus, calls for a debate over aid increase.